Wynn resigned from his post as Republican National Committee finance chair on Saturday. Some Republican lawmakers are giving back donations from Steve Wynn, the casino mogul and former Republican National Committee finance chair accused of sexual harassment. House Speaker Paul Ryan says he's giving a $1,000 donation from Wynn to charity. And Republican representative Karen Handel donated a $2,700 contribution Wynn made to her campaign. Republican Sen. Susan Collins called on lawmakers to return donations from Wynn on Sunday. "If they've accepted contributions recently from him that have not been spent, absolutely, I don't even think it's a close call to return the money," Collins said in an interview with CNN. 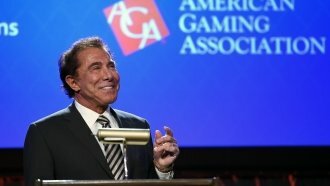 Wynn, a big Republican political donor, stepped down from his post at the RNC on Saturday, a day after the Wall Street Journal published a story alleging widespread sexual misconduct.